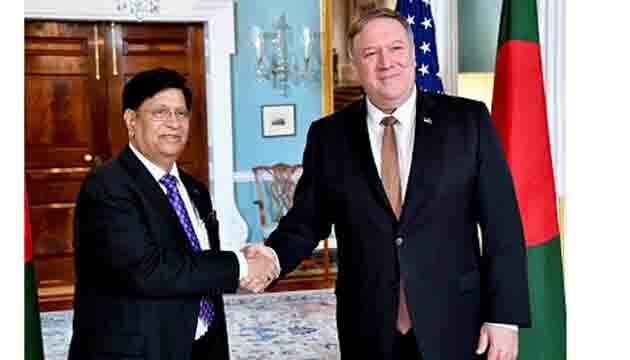 Bangladesh Foreign Minister Dr. AK Abdul Momen MP today met with the US Secretary of State Mr. Mike Pompeo at the US State Department. This is the first meeting between the two leaders since their assumption of office in respective governments. Issues featuring in the meeting were: repatriation of the Rohingyas and creation of credible international pressure on Myanmar in that respect, deportation of Bangabandhu’s killer Rashed Chowdhury from USA to Bangladesh, shared vision of a Free and Open Indo-Pacific, US investments in Bangladesh, duty and quota free access of Bangladesh’s garments products in the US market and US-Bangladesh partnership in multiple sectors. On the Rohingya issue, the US Secretary of State re-assured that the one million plus forcibly displaced Myanmar nationals have to return to Myanmar without any form of fear and persecution. It is the responsibility of the Myanmar government and military to create conducive environment so that the Rohingyas feel safe to return home. 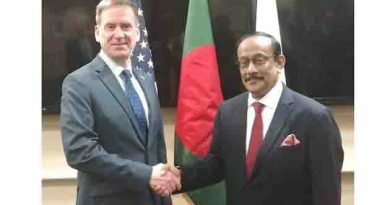 The US Secretary of State reiterated that US would stand beside Bangladesh (both politically and financially) in finding a permanent solution to the Rohingya crisis. 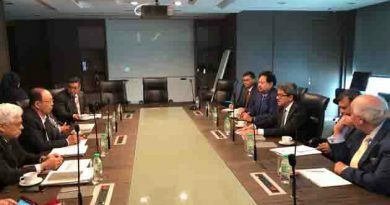 He also lauded the humanitarian gesture of the government led by Honourable Prime Minister Sheikh Hasina for temporarily sheltering the persecuted Rohingyas. 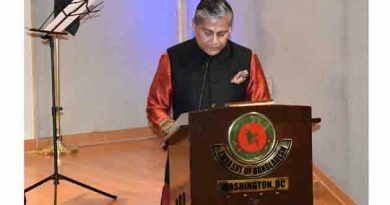 Foreign Minister Momen informed that Bangladesh at its own expense has developed the island “Bhashanchar” into a livable place in which one lac Rohingyas are planned to be relocated in coordination with UN agencies and different aid groups. He sought US support to the creation of a safe zone in Rakhine State monitored by international human rights groups. Regarding deportation of Bangabandhu’s self-confessed and convicted killer Mr. Rashed Chowdhury from the USA, the Bangladesh Foreign Minister pointed out that he is fleeing justice. This is essential to carry out a vital common agenda of both countries pertaining to Counter-terrorism and Countering-Violent Extremism and upholding rule of law. 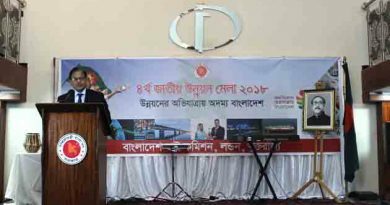 Dr. Momen stated that Bangladesh is lauded internationally for its impressive development journey. He sought more investment from the USA in the oil and gas sector and US presence in the Special Economic Zones.